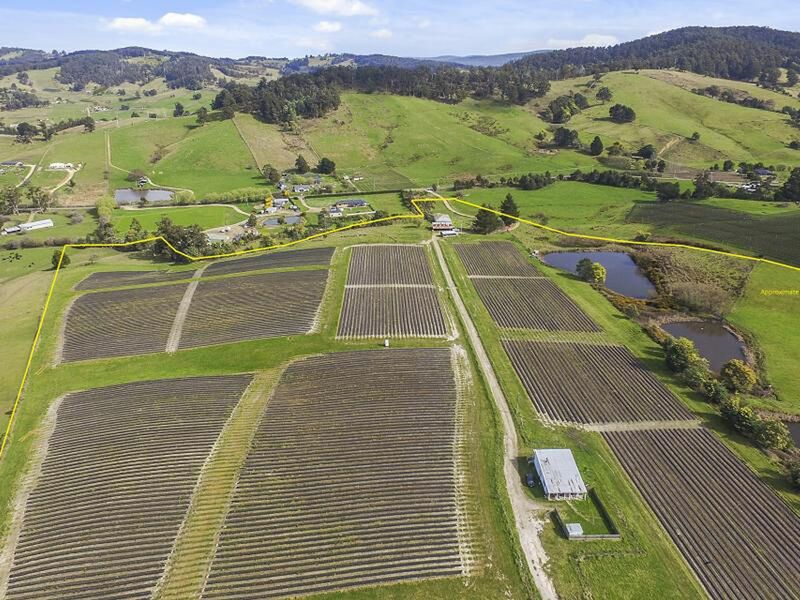 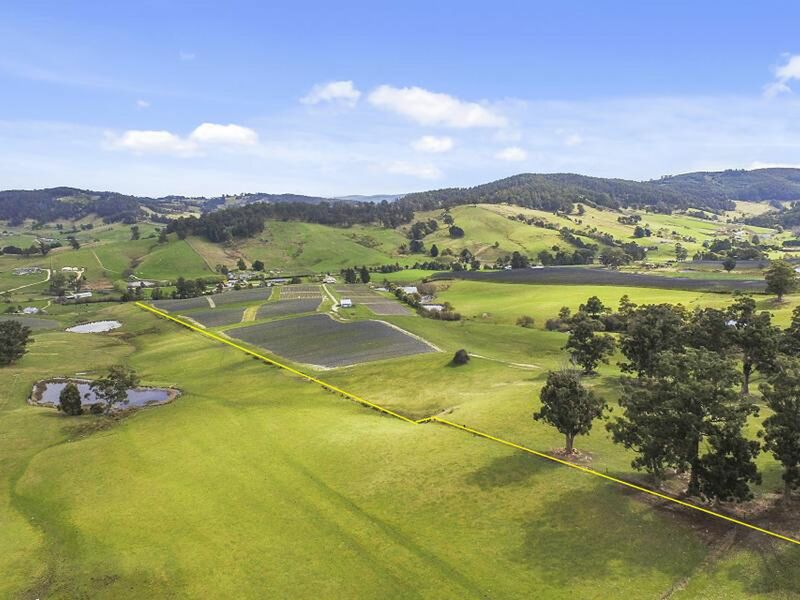 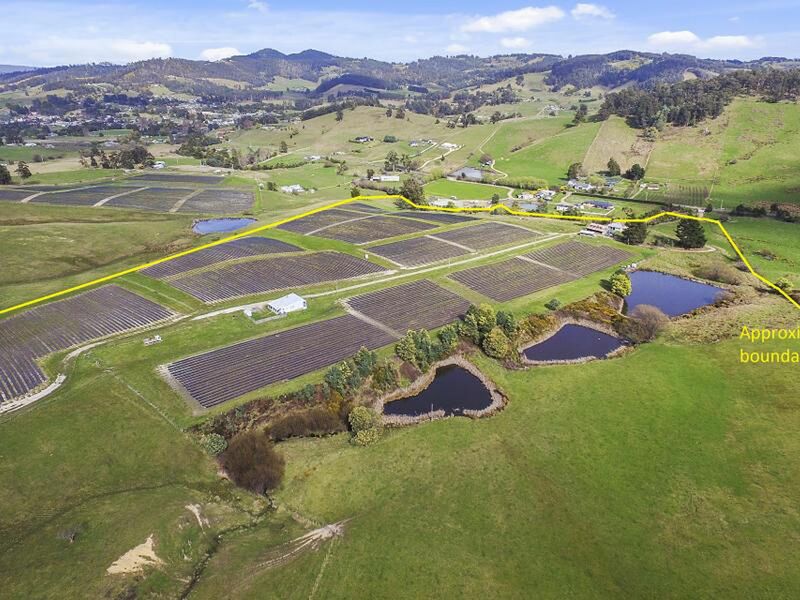 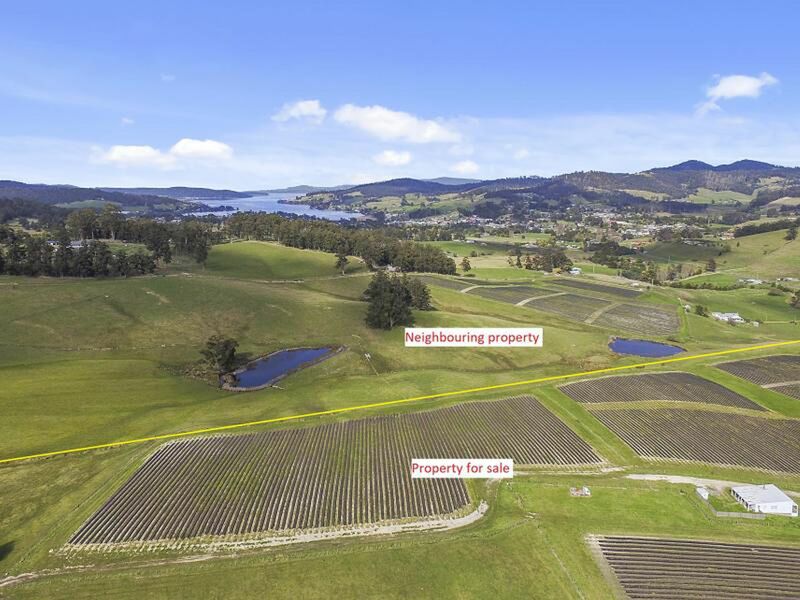 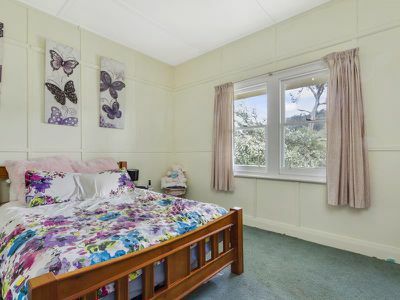 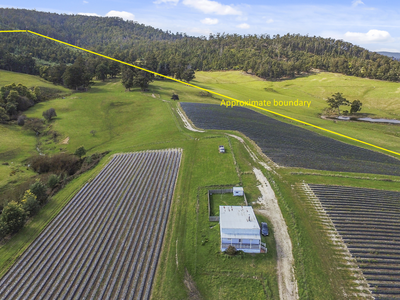 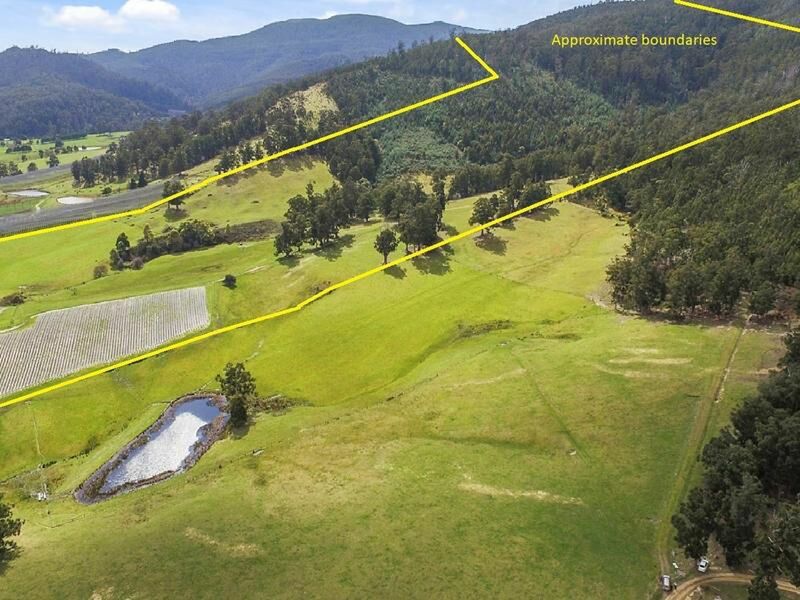 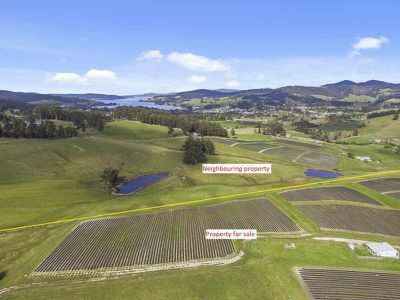 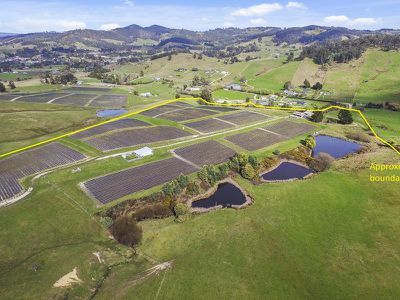 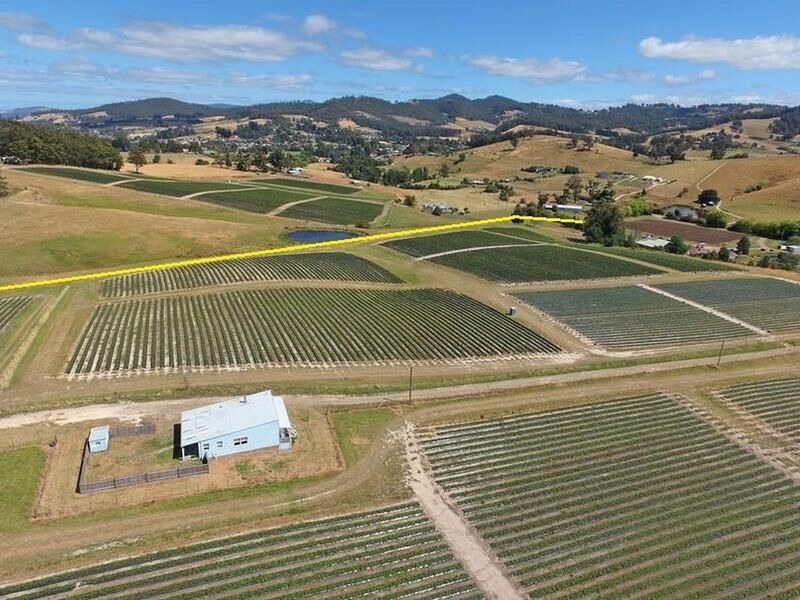 Rare and sought after large parcel of productive farmland just 1.5 klm out of the popular waterside town of Cygnet in the safe, green Huon Valley. 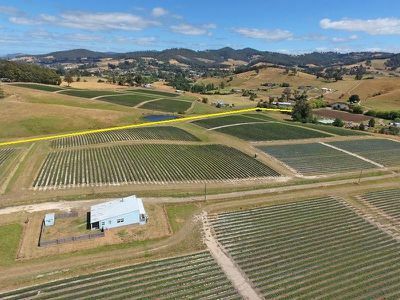 The property comes with 2 Titles, comprising a total of 61.6 hectares being a mix of both farmland and bush. Access to the property is via Downhams Road, crossing the Council maintained bridge over the Agnes Rivulet that flows all year round. 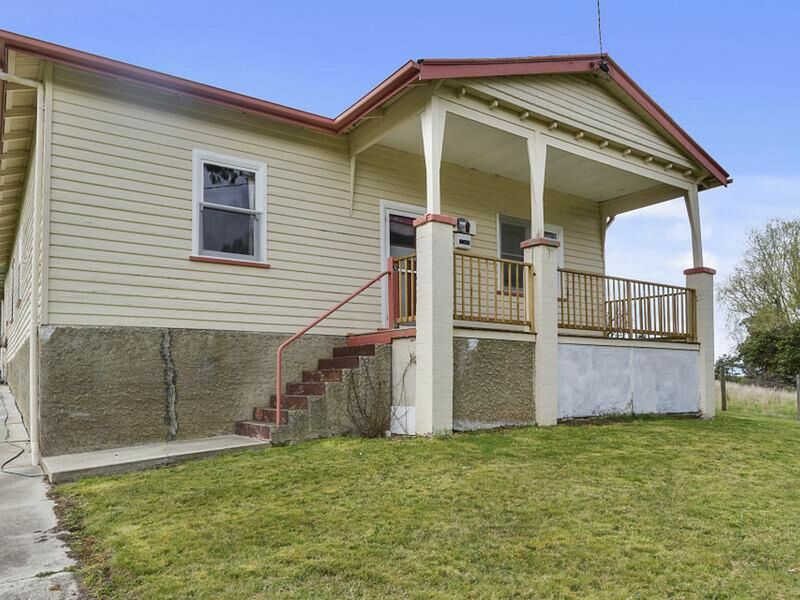 The front Title, being the largest Title is 47.9 hectares (118 acres) of which approximately 70 acres is fertile farmland with the balance of the Title being tall native timbers. 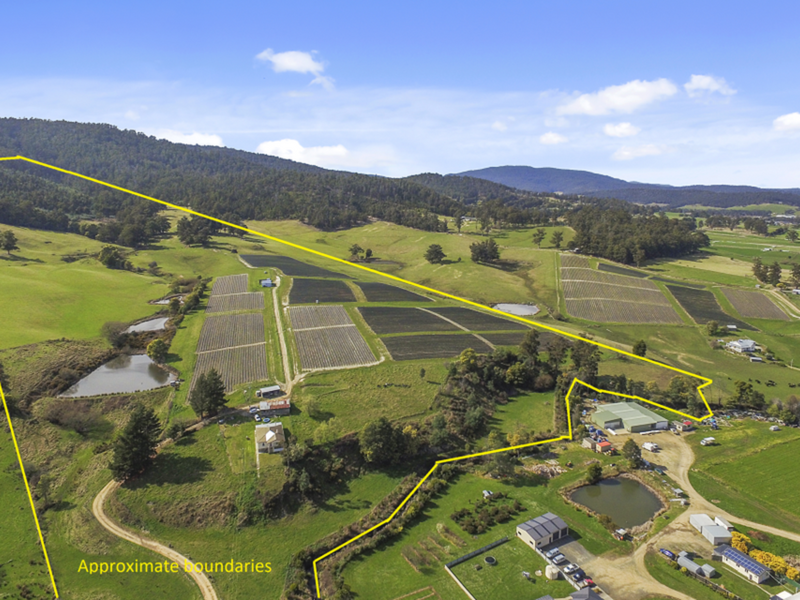 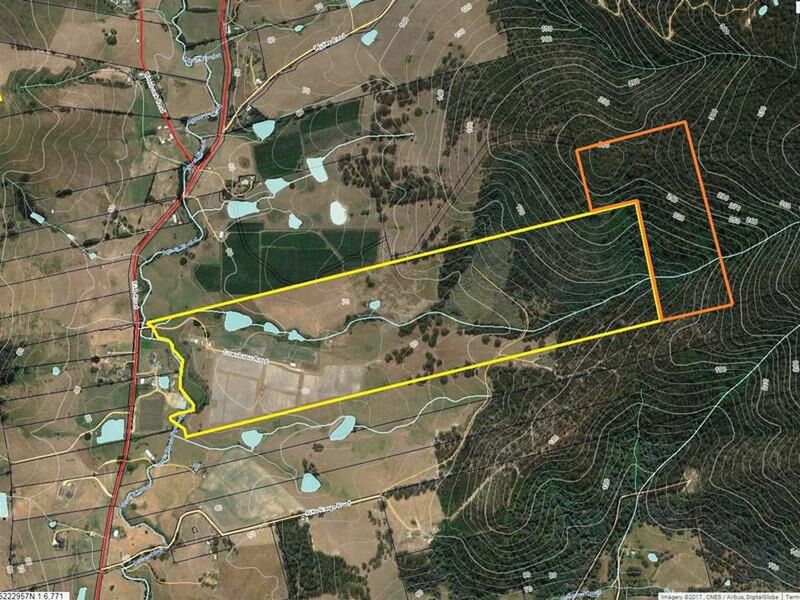 Usage is varied, 50 acres is used for raising prime Tassie beef cattle, and 20 acres of this Lot is leased to an adjoining strawberry farmer at a rate of $13,200.00 per annum. This Title also has 2 homes. 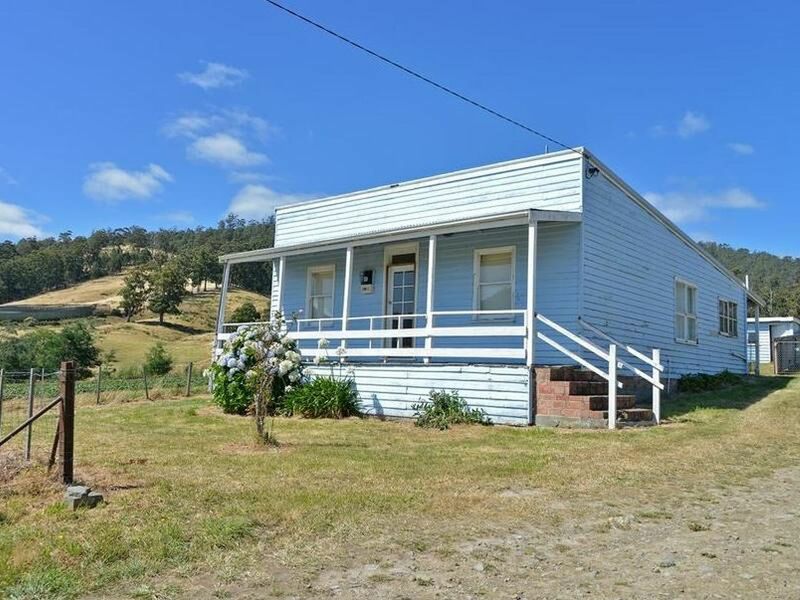 The main home, a 1930’s 4 bedroom homestead sits on a natural rise overlooking river flats and the Agnes Rivulet. This home is heated by a wood heater as well as a reverse cycle heat pump. Beside this house is a large original old apple packing shed/barn of 100m2 with a 3 car or tractor shed nearby. 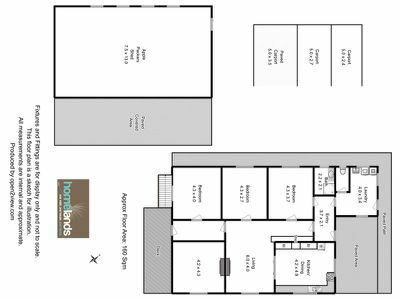 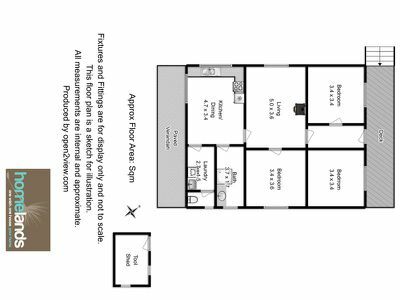 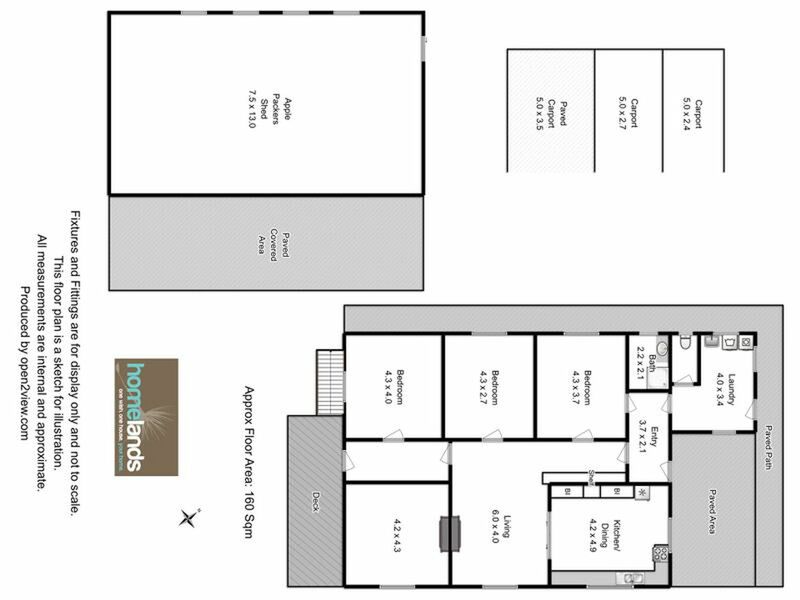 200 metres further along your own private no through road is a second older style 3 bedroom home. 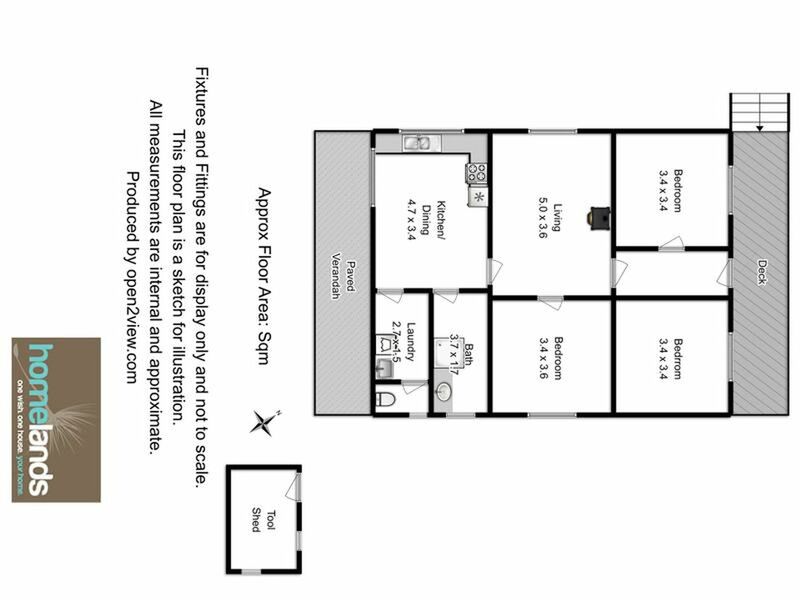 Both homes are currently leased out, 4 bed at $285.00 per week and the 3 bed at $260.00 per week. 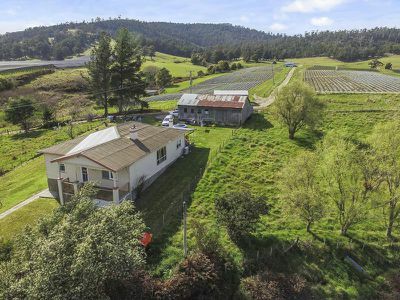 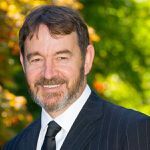 The possibility is there to do a boundary adjustment with the second Title to place each home on it’s own Title (STCA). 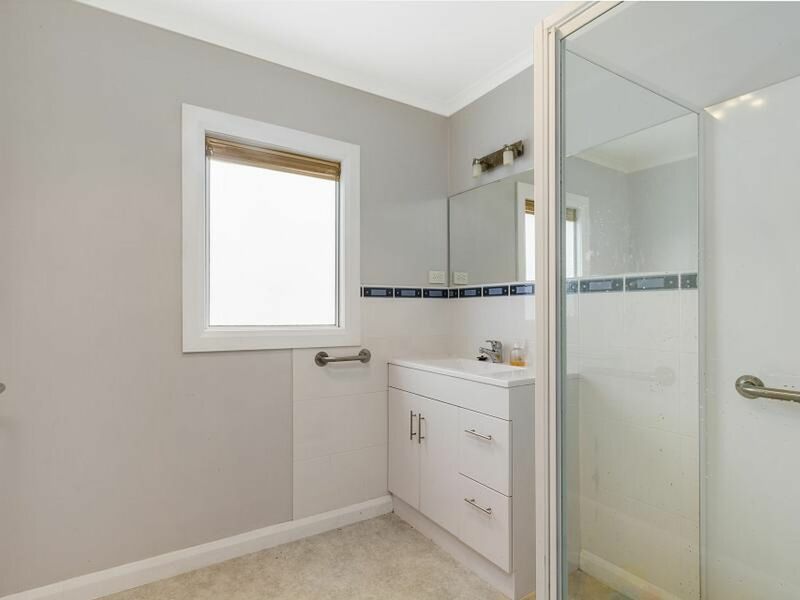 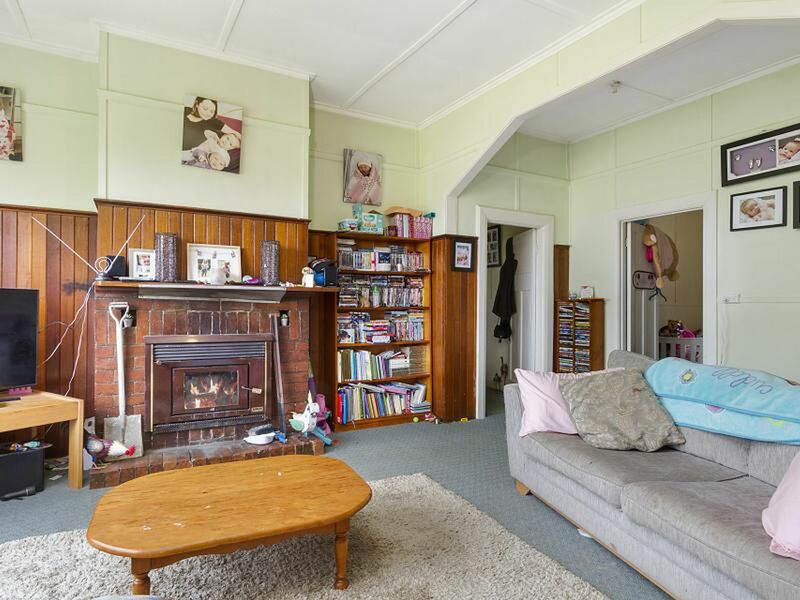 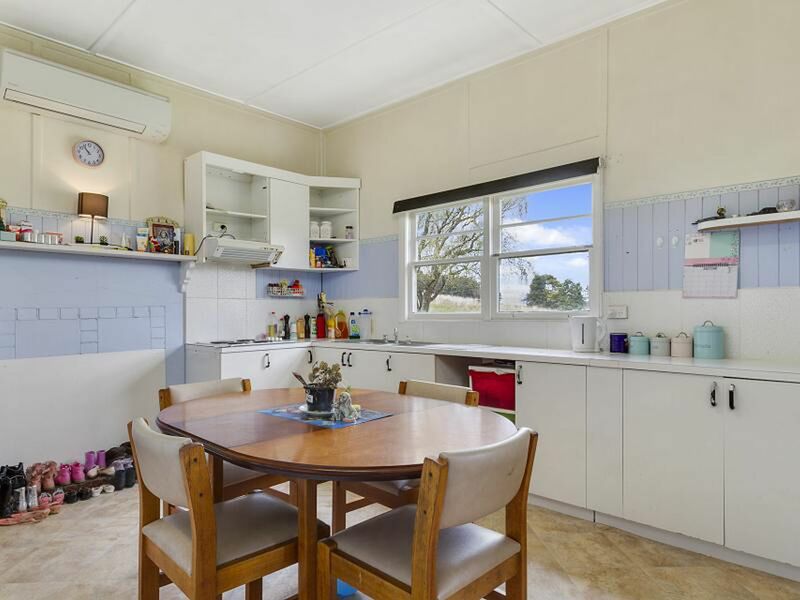 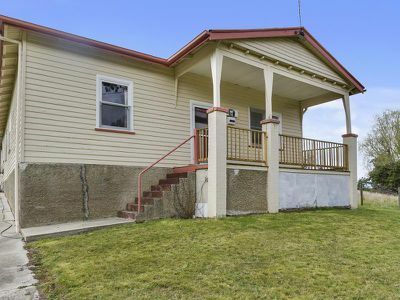 The second Title, the back Title, joins on at the top of this block giving you an additional 13.7 hectares of tall timber bushland with a small winter stream and wonderful rural vistas, most notably from a flat plateau that sits 275 metres above sea level. 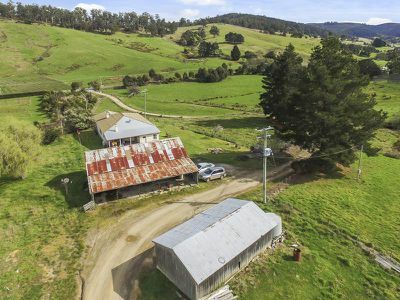 The overall property has many redeeming features including, wonderful rural vistas, 2 dwellings, good rainfall, ample water supply, town water, various separate pasture lots, ample sheds, totally private end of road locations with sunny aspects all just 1.5 klm from the Cygnet town centre. Inspections by appointment only. 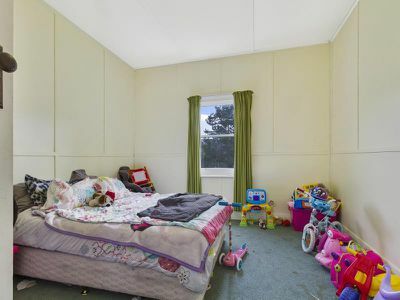 Please call Paul or Chris.